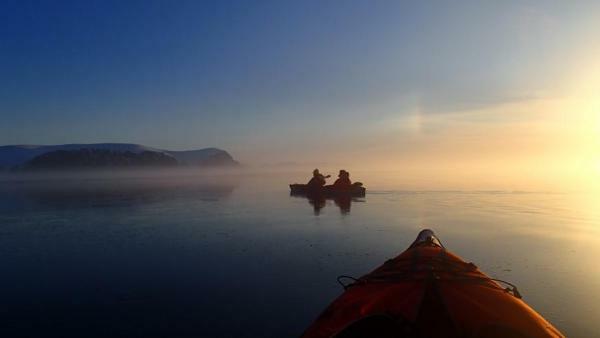 Arctic Tour - Narwhal & Polar Bear Safari Arctic Trip. 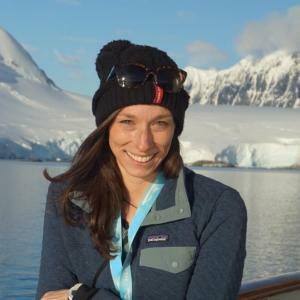 Begin your 8-day Arctic adventure in Pond Inlet and travel to southeast Bylot Island where your Arctic Safari Camp is set up a few kilometers back from the ice edge. Spend your days observing a wide variety of Arctic wildlife in their natural habitat including narwhals, polar bears, seals, and a variety of bird species, offering you exceptional opportunities for impressive photographs! Depart Ottawa for Iqaluit in the morning. Change planes in Iqaluit, departing to continue onto Pond Inlet. Upon landing at Pond Inlet, be welcomed by your local coordinator and transferred to a comfortable hotel. During dinner, your expedition leader and lead Inuit guide give a briefing and gear check. After dinner, enjoy an authentic cultural presentation of Inuit throat singing, drum dancing, and storytelling by local elders. 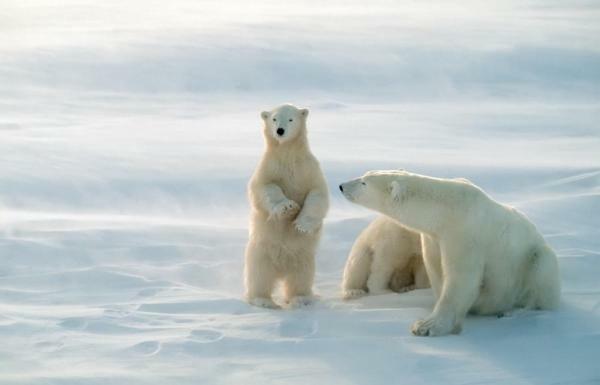 After breakfast, meet your guides on the beach (yes!, there are sand beaches in the Arctic as well!) in preparation for your departure to southeast Bylot Island and the floe-edge. 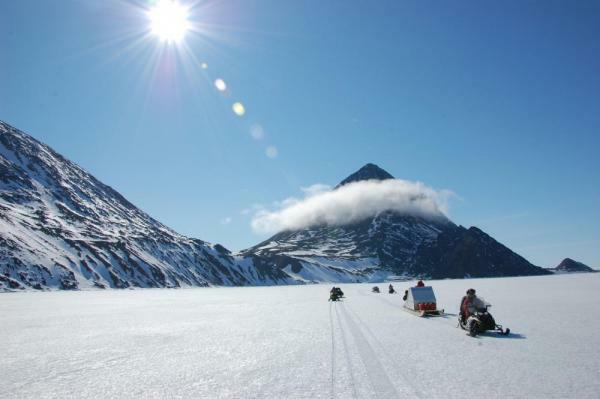 Travel traditional Inuit-style qamutik (a wooden sled with suspension seats pulled behind the snowmobile), and experience the exhilaration of gliding across the ice. Your route of approximately 70 km includes tea stops at historic grave sites, hanging glaciers, and abandoned whaling stations and hunting cabins. 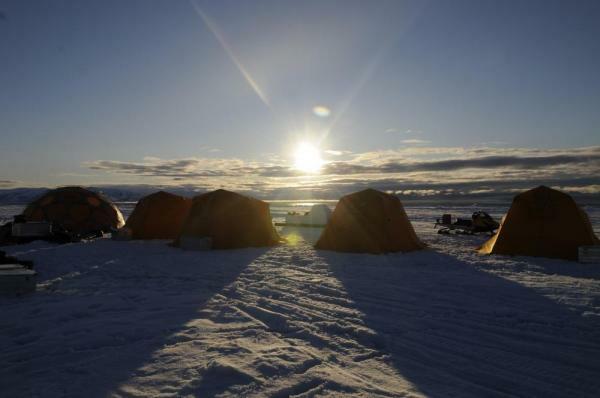 The final destination is the ice floe edge, where your Arctic Safari Camp is set up just a few kilometers back from the ice edge (conditions permitting). The next few days include trips from your Arctic Safari Camp out to the floe edge along with excursions to other attractions in the area by qamutik and snowmobile. Your ice floe edge base camp enables you to enjoy the warm spring weather and engage in a variety of activities both on land and at the floe-edge. 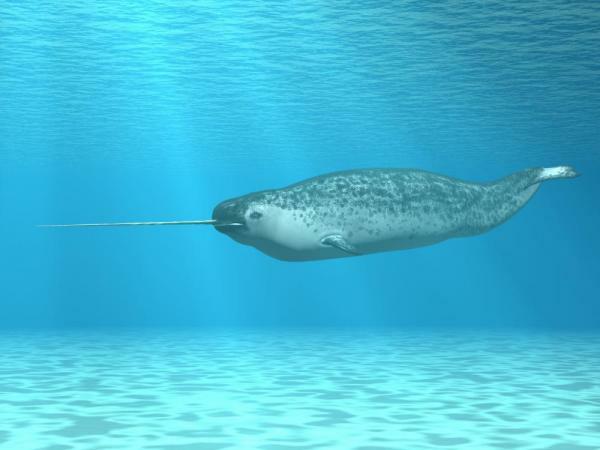 Wake up mornings to the smell of fresh coffee and the sounds of narwhal resting just off the ice edge. From camp and the floe-edge you can expect to see icebergs, ‘bergy-bits’, and drifting pack ice with playful seals poking their heads up out of the water and looking directly at you. Plenty of time is provided for unhurried observation and photography. 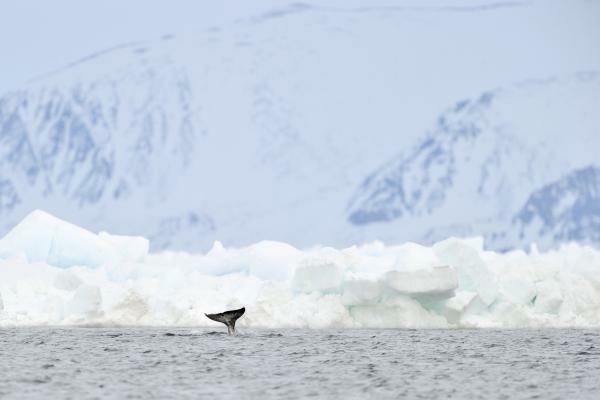 On the floe-edge, the likelihood is high that you see narwhals, bowhead whales, polar bears on the prowl for seals sunning themselves, and possibly walrus and beluga whales. Migratory birds are in abundance - pure white ivory gulls, gaudy king eider ducks, low-flying northern fulmars, thick-billed murres, kittiwakes, and greater snow geese (kanguq) are just a few bird species to be seen. Ice conditions permitting, visit the Bylot Island Migratory Bird Sanctuary with 200,000 plus birds nesting not far away. On the land, track land mammals with your camera, see ancient Thule culture sites and traditional tent rings, and learn the culture and history of the area. 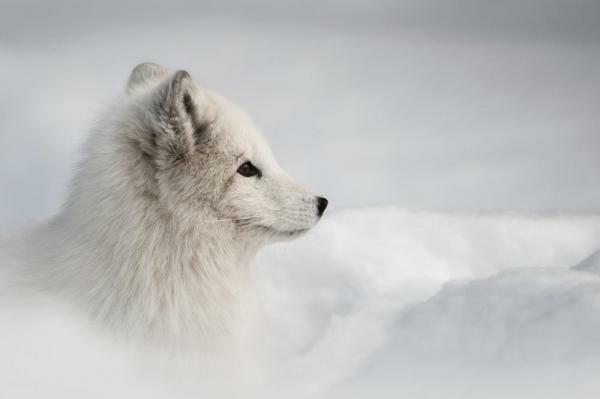 Bylot Island’s uplands are home to Arctic foxes and hares, weasels, collared lemmings, snowy owls, rough-legged hawks, and gyrfalcons. 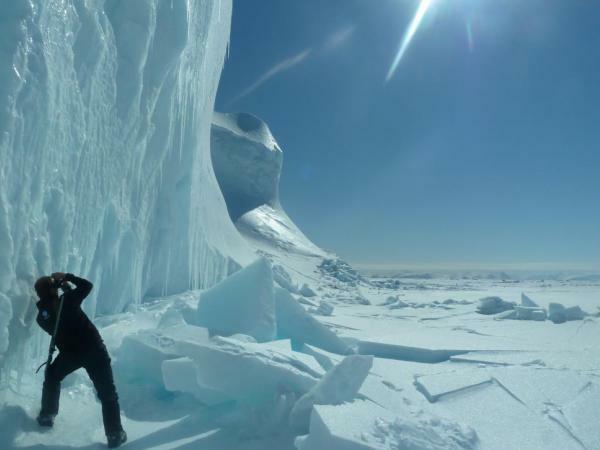 Engage in activities both on land and at the floe edge, such as snorkeling and kayaking amongst sea ice and possibly within the presence of whales, weather permitting. Enjoy refreshing glacial melt-water tea. After breakfast, travel back to Pond Inlet by qamutik and snowmobile. Enjoy your final night in Pond Inlet. After breakfast, travel back to Pond Inlet by qamutik and snowmobile. Then fly back to Iqaluit. Enjoy your final night in Iqaluit with a guided town tour. Transfer to the Pond Inlet airport and fly to Iqaluit and transfer planes for your flight to Ottawa. Transfer to Iqaluit airport. Depart for Ottawa.